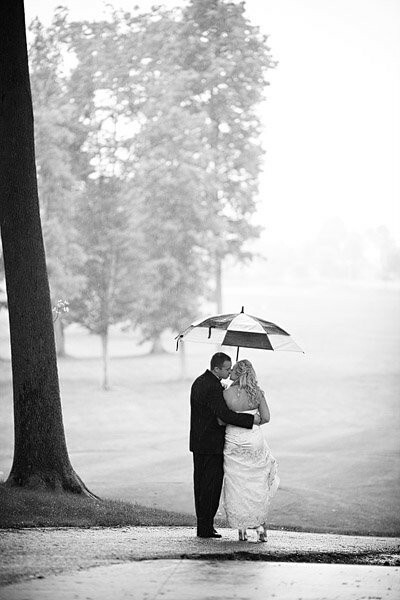 Jill and Thomas’ wedding photos by Linczak Photography are breathtaking! I had the great pleasure of actually seeing the amazing quality of the images in person and they were outstanding! 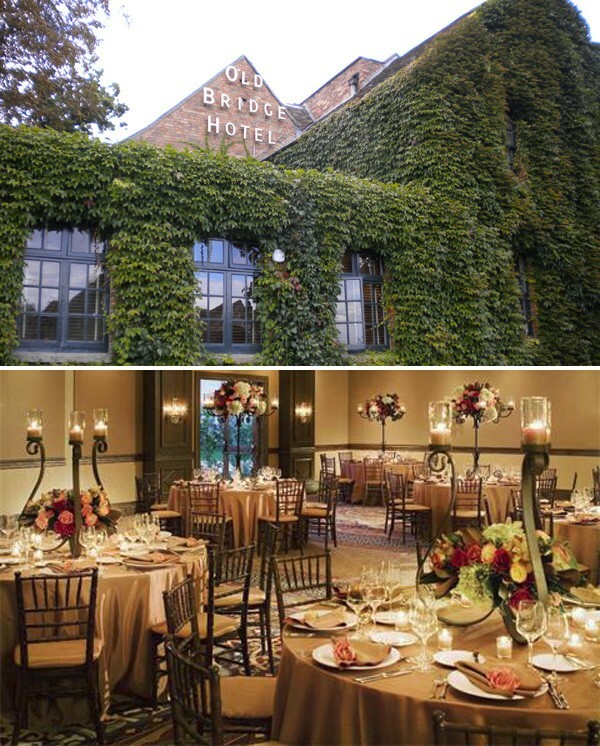 See Jill + Thomas’ Real Wedding Part I. Custom invitations by Mospens Studio. Wow! I love, love, love this engagement photo shoot I found on Flickr by photographer Katja Heil! Amazingly fun!!! View more photos by the amazing Katja Heil now! SWOONING! I was just browsing Style Me Pretty and I LOVE, love, love this photo by Orange Girl Photography! As you may know, I am obsessed with water, so naturally I would adore this photo. It is truly whimsical and breathtaking! The couple is adorable and look at her floral bouquet! Just Perfect! I am delighted to share Jill + Thomas’ wedding with you today! 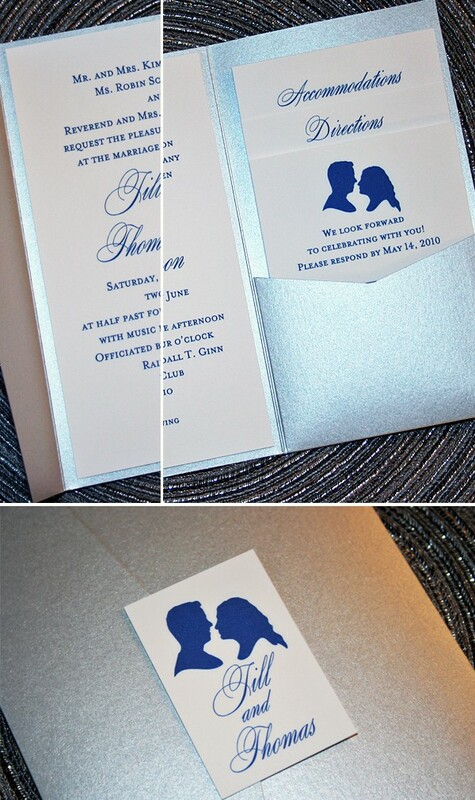 Of course we must begin with the custom folder, raised ink invitations James and I created for them!! 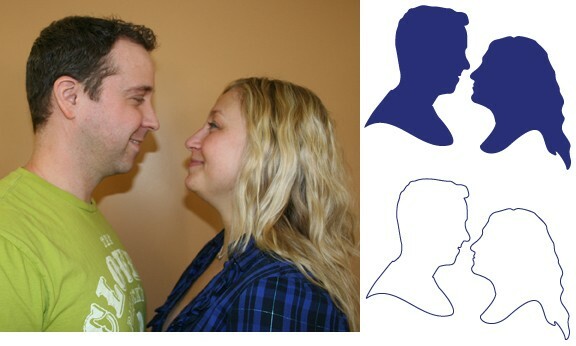 Jill + Thomas came into our invitation studio to create the perfect invitation for their wedding. After the consultation we decided their theme would be THEM. SNEAK PEEK! 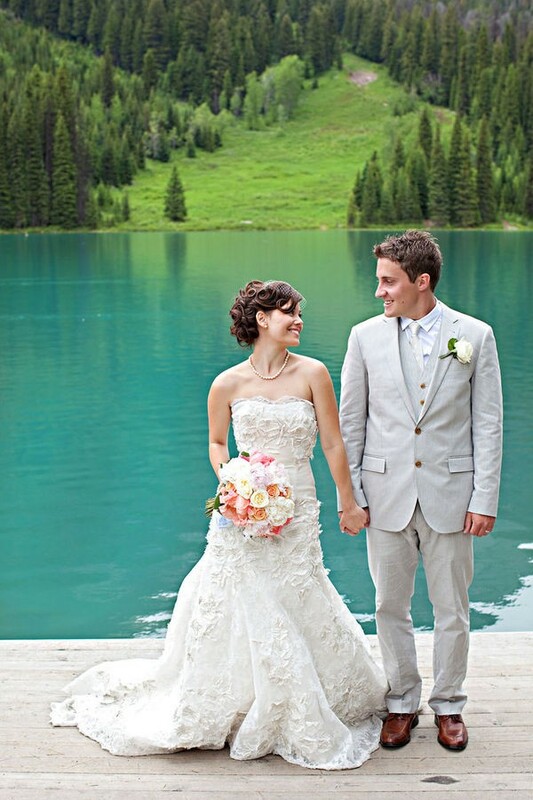 Following is a sneak peek of Jill + Thomas’ beautiful wedding photos by the amazing Linczak Photography! The green groomsmen shirt is from Tommy Bahama. Oh what fun it is to… receive this beautiful wedding invitation in the mail! 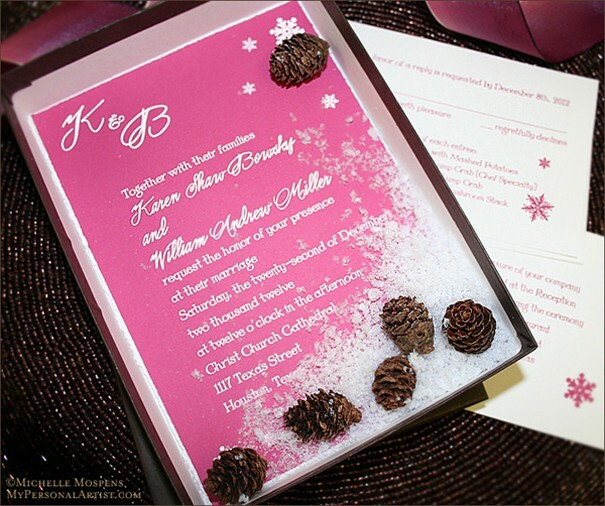 Fun and original!Â Handmade Wedding Invitations with winter snowflakes and pinecones will delight all of your guests. 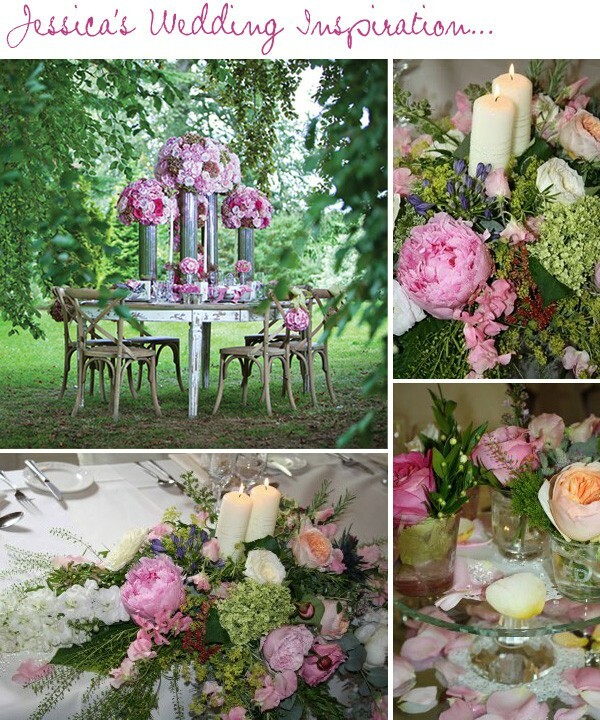 Perfect for a fun and elegant winter theme wedding or a spectacular Christmas party. 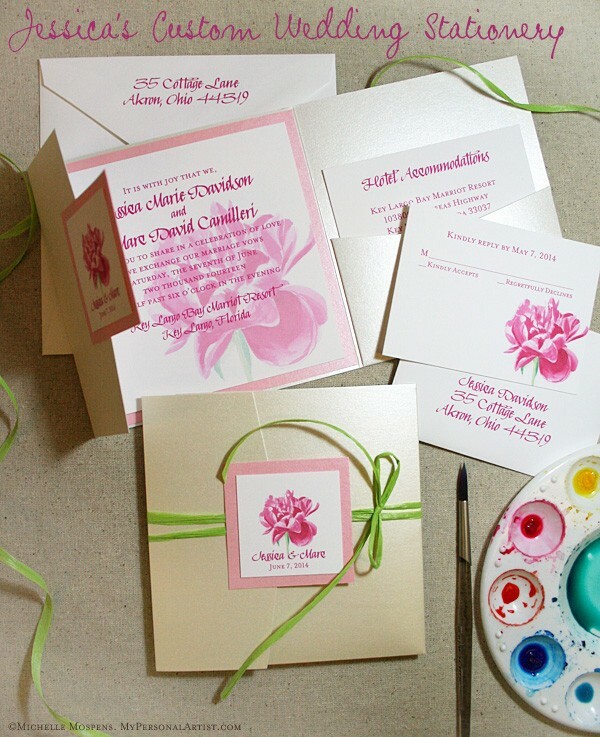 For order information can be found hereÂ My Personal Artist Custom Invitations.